What is the ideal duration for a real estate video? Everything about Real estate is visual, so photos and video are the key elements of real estate marketing. Adding photos and videos to your websites is crucial because users want to see how a property looks like in real time. Without media, a perfect description of the property with attention-grabbing words also fail. Sometimes, even photos fall short of showcasing the real beauty of a property. With more significant properties having bigger details to cover, a single picture is not sufficient considering that you have to provide your customer with all the valuable information they need. Right from home space to office space, it is a video that shows every nook and corner and other details of the property. 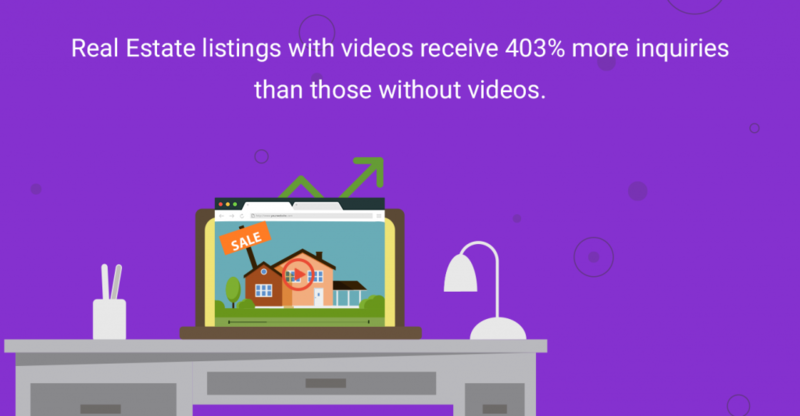 A video is all that it takes to impress your potential buyers. And this is why real estate videos came into the picture and changed the entire real estate game. Once you start using videos for real estate, there is no going back! There are various kinds of real estate videos that you can create to impress your prospects. However, there has always been confusion about how long a real estate video should be. Well, there is no fixed length for a real estate video. The video length varies for different types of videos. It depends on the size, complexity, and other details like the elements of the property. Did you know that a person’s attention span is less than that of a goldfish? Any video that exceeds the length of 10 minutes just gets too much for the viewers to concentrate. You definitely don’t want to bore them for more than 10 minutes. Keeping that in mind, you also need the video to be at least for a minimum of 3 minutes, considering you should be able to deliver all the key information in the video. However, the ideal duration of a real estate video would be between 3-7 minutes, and always under 10 minutes. Now, let us dive into a few of the most common types of videos in real estate and their ideal duration. A slideshow real estate video is the easiest and most popular style of real estate video. A slideshow real estate video is a video of all the photographs and descriptions. A majority of these videos only use pictures. 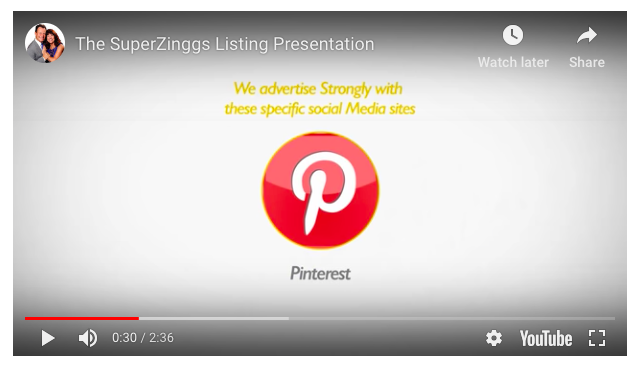 Caption: Through a short presentation, California-based Realtors Mike and Robyn Zingg explain their value proposition and some real estate marketing ideas. Since a slideshow video just has pictures and text, you will have to amp up the slideshow and make it attractive. You can highlight the parts where the main elements of the property are displayed. You can quickly add your photos in the slideshow and create a short video presentation. Keep your prospects entertained by adding some nice music that matches the look and feel of the place. Slideshow videos can have a duration of up to 3 minutes maximum because it is always better to keep a slideshow short and crisp without boring your prospects. All that you need to include in the video is the necessary information through text and pictures so that your website visitors get everything they need in a short amount of time. These are the most commonly used real estate videos. 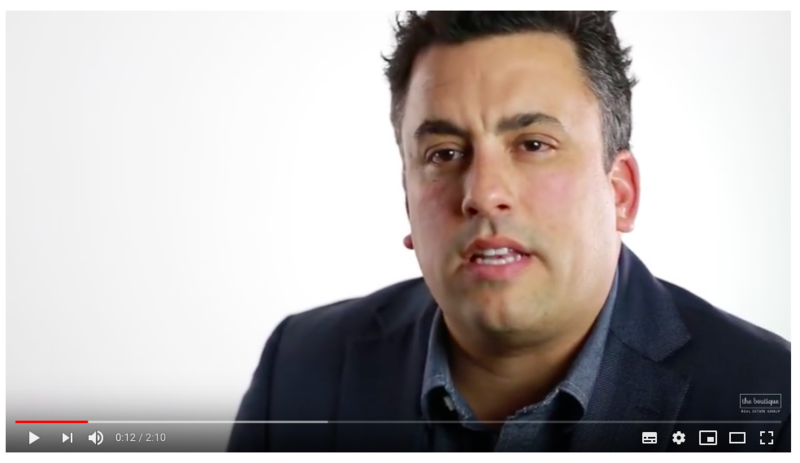 Walk-through videos are the best because they create an impression on the prospects. The whole look and feel of the home can easily be shared through walk-through videos. There is no better way to show off a place than through a home walk-through video as it is effortless and quick. Prospects can see the rooms and other corners of the home and get a feel of the property. They can also have a look at the size of the house and get extra details. Walk-through videos offer an excellent opportunity for people living outside the city or state not to be physically present but still know how precisely a property would look like. Calgary Real Estate Property shows a walk-through video tour of how you can incorporate close-up shots in your video. Home walk-throughs need a lot of editing and should be put to the right use. Instead of just ending the video with a frame of the property you can add interactive polls in the video. Polls could be asking your viewers on which part of the property they were more interested in and stuff like that. A walk-through video can be of the length 3-4 minutes depending on the features and the size of the property. It is crucial for Real Estate Agents to market themselves as professionals and showcase the work they do. And that’s exactly why as a real estate agent you should create an introductory video of yourself/your team. Introductory videos are one of the best ways to introduce yourself and connect with prospective clients. Introductory videos could also be personalized videos of you addressing your prospects by their name. You can quickly send these personalized videos through email. You can use these videos for cold calling your leads. 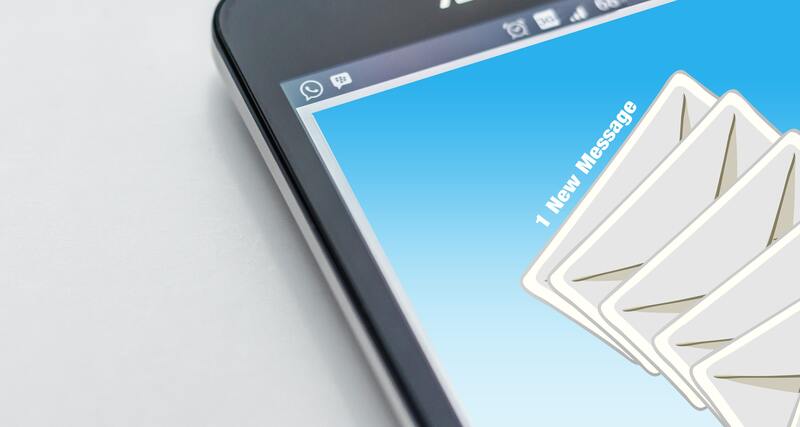 Once you send a video email to your leads, you can track your video and gain analytical insights. Through these reports, you can quickly identify who is interested and who is not in your company. The Boutique Real Estate Group has an introductory video of its team members and their mission. It would be a good idea not to lengthen your introductory video for more than a minute or two. In the video make sure you introduce yourself quickly and also give a gist of what your company does. 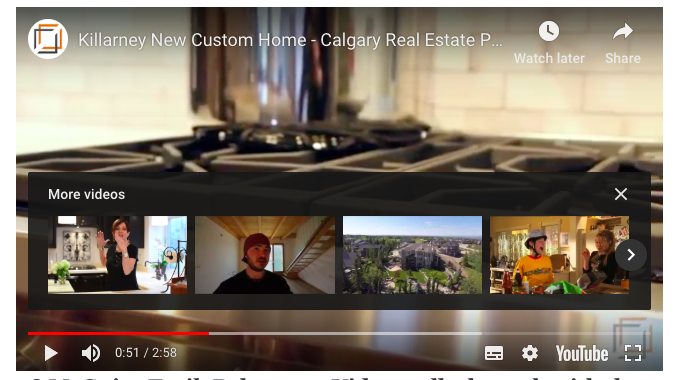 A video is an excellent tool for real estate marketing. There are plenty of ways videos can help you connect with your potential customers. When it comes to the length, you need to have a right balance between long and short duration videos. This gives your client a good idea of what the property looks like and what to expect. Now, if you are wondering how to get started with the real estate video marketing game, here you go! 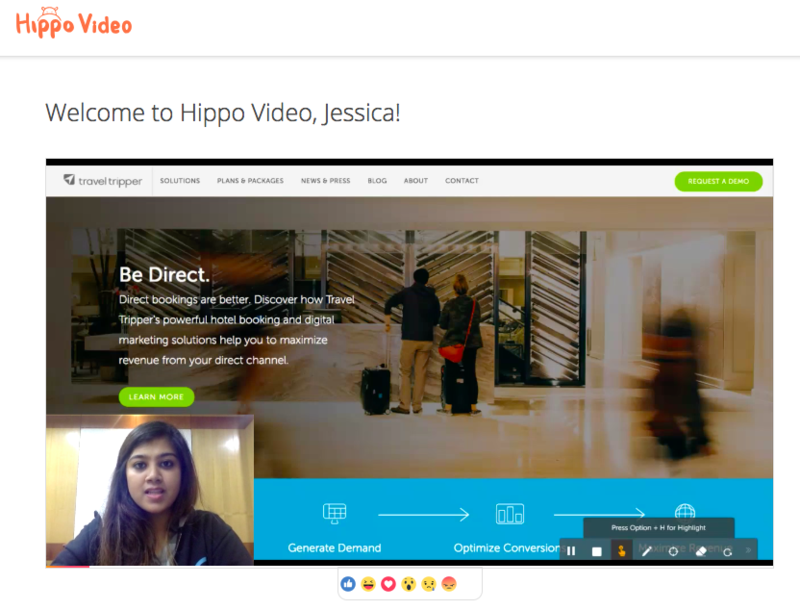 Hippo Video is an online video marketing platform that lets you record and edit videos. With Hippo Video you can add a logo to your Video player, and also customize your player color according to the themes that resonate with your brand. You can add Titles, thumbnails, Lead generation forms, Quizzes, polls, and CTAs to your videos. Hippo Video also lets you get video marketing analytics to convert your viewers into potential buyers. And there is more after you sign up! That’s all for now….Go Ahead and start creating amazing real-estate videos!